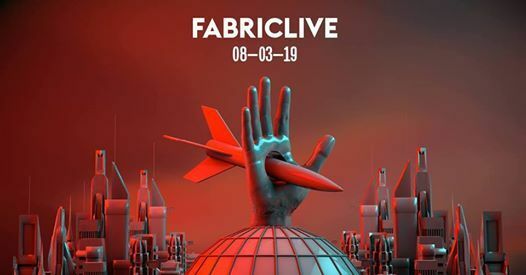 Three of the UK’s most innovative forces in sound system culture come together at FABRICLIVE to present their unique slants on reggae, dub, jungle, grime and future beats. Raised out of one of the most musically creative cities in the UK - Mungo’s HiFi have made a massive contribution to Glasgow’s story with a respectful nod to Jamaican sound system tradition. Their label Scotch Bonnet echoes this ethos and has been pushing a sound that is deeply rooted in dub and reggae’s lineage and is one of the most exciting voices in this genre today. They come to take over Room One inviting some more figures from the UK’s scene’s foundations with Iration Steppas and Kenny Knots set to join Glaswegian selectors Danny T Tradesman & Stalawa. Charlie P, Eva Lazarus, Parly B host. Guaranteed they will push the bass up through our bodysonic dancefloor to its deepest levels. In Room Two, we host a flagbearer of the UK’s underground music culture as Congo Natty takes over. A true visionary for jungle, reggae and its associated offshoot genres, the artist also known as Rebel MC has been a frontrunner in the scene for more than two decades. In that time he’s also had a long history with us, regularly bringing his dub-heavy sound to our Friday night FABRICLIVE sessions. This March he prepares for his very first showcase with us, inviting a crew of specially selected guests to join him for a night celebrating junglism and its rich heritage. In the few years Brunswick Sound have been in operation they have marked themselves as a vital voice in spatial club sonics. Through a heady string of releases, word-reaching mix series and off the radar events they have shown the compelling area they are working in with a firm focus on instrumental grime and intelligent deployment of bass. This is exactly why we have invited them to take over the Pioneer Pro Audio system in Room Three for the night where they have programmed a mass of exclusive back to back DJ pairings drawing from their distinct musical world.